Winter Wonderland in Hyde Park is an annual Christmas event that is the perfect activity for anyone who is in London during the holiday season. This Christmas, Winter Wonderland will be open from the 23rd of November 2018 until the 6th of January 2019 and it will be open from 10am-10pm every day except Christmas Day. There is an endless amount of activities at Winter Wonderland so you can choose from ice skating or the Winter Wonderland Comedy Club, Ice Sculpting Workshops and spectacular Christmas themed shows. You can also visit the Bavarian Village or Santa’s Grotto while there is also many great bars and dining options available even including an ice bar. 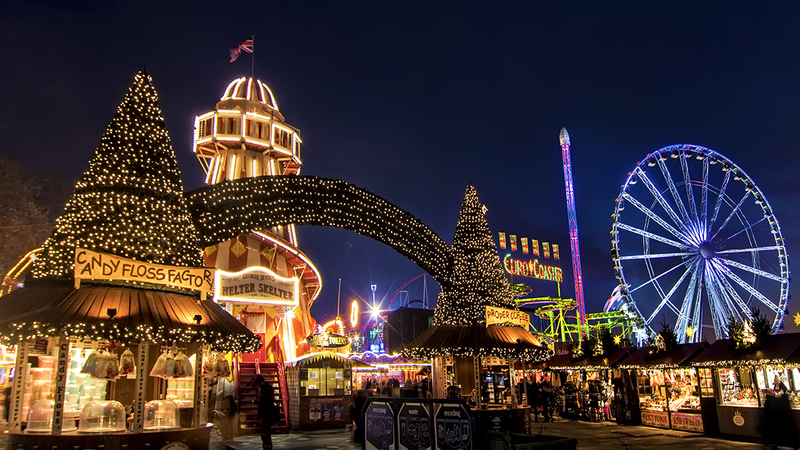 Winter Wonderland is located in Hyde Park every year which means it is on the doorstep of Hyde Park Executive Apartments making our serviced apartments the perfect location to stay at if you are planning a Christmas break in London. To make planning for your trip to London even easier, we currently have a Wonderful Winter offer so you can save 15% if you are staying for 2 nights or more. Staying at Hyde Park Executive Apartments during your trip to London means you will not only be within minutes to Winter Wonderland but you will also be close to all of London’s most popular attractions such as Hyde Park, Buckingham Palace, Kensington Palace, Madame Tussauds, Oxford Street as well as close to Bayswater and Queensway tube stations making all of London accessible to you. To avail of the Wonderful Winter offer, just book direct on our site today. Save 15% when you stay for two nights or more this Winter.